Simple binary switches shift between two distinct functional states of a motif. This can be either an "on" and "off" state, or two states with different affinities for a single binding partner. Based on the mechanism that regulates switching between the two states, different subtypes were defined. 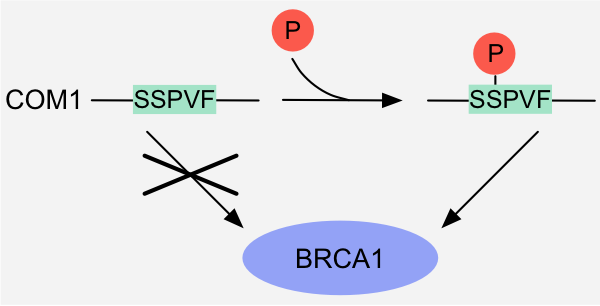 Figure 1: Binary switch - Altered physicochemical compatibility: binding of the BRCT-binding motif in the DNA endonuclease COM1 to the tandem BRCT domains of BRCA1 is induced by phosphorylation of the serine residue in the motif 1. Figure 2: Binary switch - Altered physicochemical compatibility: binding of the PDZ-binding motif in the IRK4 potassium channel to the PDZ domain of DLG4/PSD95 is inhibited by phosphorylation of the serine residue in the motif1. Figure 3: Binary switch - Allostery: binding of calcium to Recoverin results in conformational changes that make the covalently attached myristoyl moiety accessible for recruitment to the plasma membrane 1. 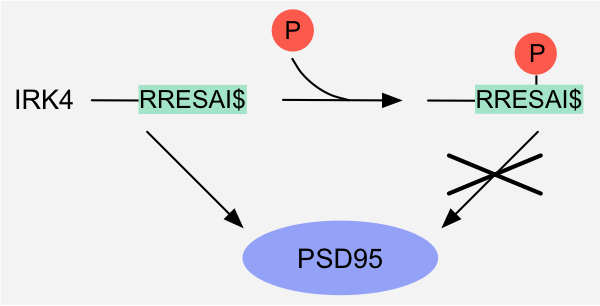 Figure 4: Binary switch - Pre-translational switch: alternative promoter usage and alternative splicing removes the MDM2-binding motif of p53, thereby abrogating binding to MDM2. 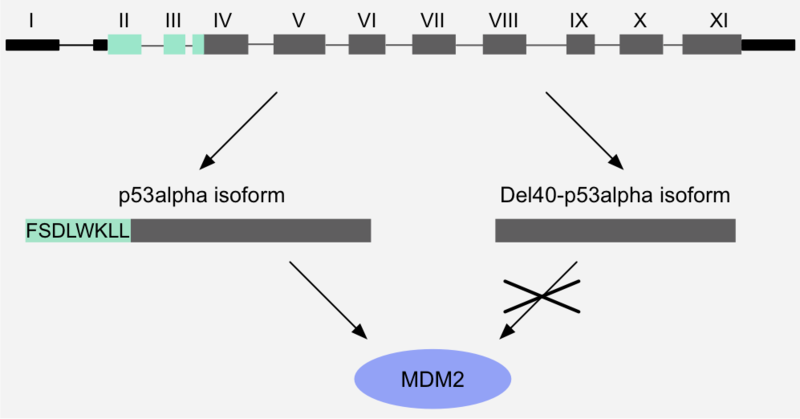 As a result, this p53 isoform is resistant to MDM2-mediated degradation and shows a longer half-life1,2. Specificity switches on overlapping or adjacent, mutually exclusive interaction interfaces are characterised by distinct "on" states, allowing regulated exchange of distinct binding partners. Different subtypes were defined based on the mechanism that regulates switching of binding partners. Figure 8: Specificity switch - Competition: Dystrophin and Grb2 compete for the overlapping WW-binding and SH3-binding motifs (in bold), respectively, of Dystroglycan. The outcome of the competition depends on the local abundance of the competitors, which can be modulated by changing their expression level or localization and by scaffolding1,2. Figure 5: Specificity switch - Altered binding specificity: phosphorylation of the tyrosine residue in the overlapping WW- and SH2-binding motifs in Dystroglycan switches the specificity from the WW domain protein Dystrophin to the SH2 protein Fyn kinase1. Motif hiding occurs when there is a large difference in intrinsic affinity of overlapping or adjacent motifs for their respective binding partners, or a large difference in the local abundance of these partners. Binding of an effector to one motif sterically masks the overlapping or adjacent motif, thereby precluding it from binding. Binding of the masking molecule can be PTM-dependent or -independent. Figure 6: Specificity switch - Motif hiding: binding of monomeric G actin to the RPEL motifs in MRTF hides the Nuclear Localization Signal (NLS) and precludes interaction with the import machinery, thereby excluding MRTF from the nucleus 1. 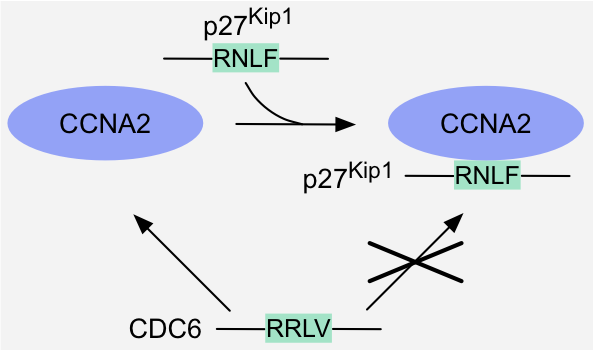 Figure 7: Specificity switch - Domain hiding: binding of the cyclin-Cdk inhibitor p27Kip1 to a cyclin-Cdk complex hides the binding site for the cyclin-binding motifs present in cyclin-Cdk substrates like Cdc6, and thereby prevents recruitment of these substrates to the complex1. Regulation of an interaction by a cumulative switching mechanism is mediated by multisite modification. 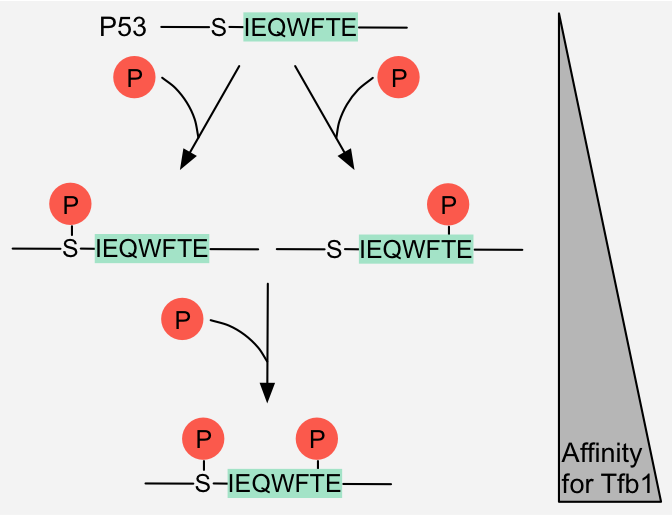 Figure 9: Cumulative switch - Rheostatic switch: Phosphorylation of a serine and threonine residue respectively flanking and in the Tfb1-binding motif in p53 additively increases the affinity of p53 for Tfb1 1. Multiple low-affinity interactions give rise to high-avidity interactions that have increased binding strength, with more than additive affinity. 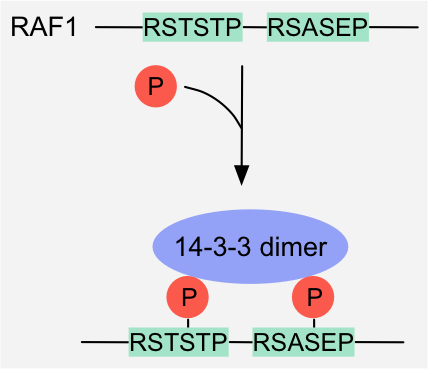 Figure 10: Avidity-sensing switch: Phosphorylation of two 14-3-3-binding motifs in Raf1 induces high-avidity binding to 14-3-3 dimers 1. Pre-assembly switches require prior formation of a complex as a prerequisite for a motif-mediated interaction to occur. 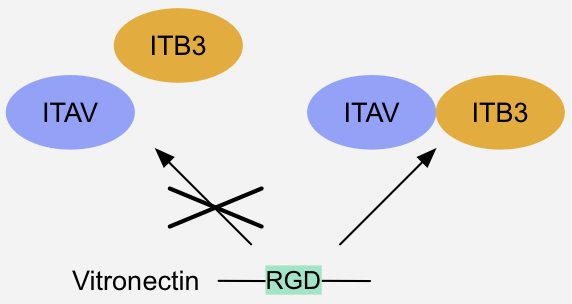 Figure 11: Pre-assembly switch - Composite binding site formation: Binding of integrin-receptor ligands like Vitronectin requires pre-assembly of a heterodimeric integrin alpha-beta complex, since the integrin alpha and beta subunit together form a composite binding site for the ligand's RGD motif 1 . NOTE: It should be taken into consideration that the examples curated in the database are regarded in isolation, however in a biological context these definitions partially overlap and different mechanisms are combined to mediate complex regulatory functions.